Our sincerest condolences to Dr. John Christy and his family | Watts Up With That? Dr. Roy Spencer sends sorrowful news. From The Huntsville Times Obituary Page. Apr. 14, 1951 – Aug. 7, 2014 Alice Babbette “Babs” Christy stepped into eternity on Thursday afternoon, August 7, 2014. She began her life’s journey in St. Louis as the first child of Irwin and Alice Joslin on April 14, 1951. She leaves behind her devoted husband John, sister Ruth Ann (and Joshua) Wong, daughter Alison (and Garet) Fields, son Brian (and Kristen) Christy and the grandchildren she absolutely adored; Levi, Kara and Garison Fields, and John and Ruby Christy. Grandson Isaac Christy is now in her arms. Her family moved from St. Louis to Peoria Illinois early in her life and she counted Peoria as her home until finishing college. An extremely bright young lady, Babs was Valedictorian of her senior class at Woodruff High School. After graduating with a degree in English Literature and American History from Illinois State University, she served in Kenya, East Africa, teaching at Nyeri Baptist High School. There she met her future husband and upon return they were married in 1975. Their lives were enriched as they experienced Mill Valley California, Vermillion South Dakota, Champaign Illinois but it was in Huntsville Alabama where they established their permanent home in 1987. A passion throughout her entire life was Southern Baptist Missions. After her service in Kenya she was heavily involved in teaching and leading mission organizations everywhere she lived. She was a member of the boards of Christian Women’s Job Corps and the Alabama Baptist Woman’s Missionary Union. At Farley Community Church she taught several classes including Vacation Bible School and mission programs up through this past summer though plagued by the last stages of cancer. 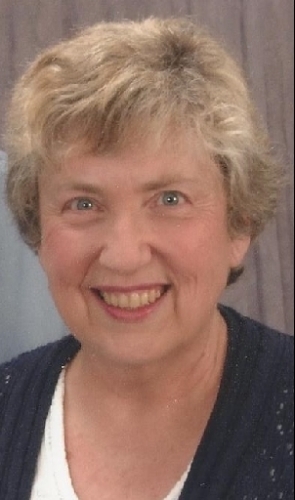 In other service roles she taught homebound students for the Huntsville City Schools and English as a Second Language for the Madison County Baptist Association. She also touched many lives through teaching in Weight Watchers and through the quilting guild. She is now free of the infirmities brought on by the cancer, but those who loved her, especially her husband, children and grandchildren are feeling the pain of an intensely wonderful part of their lives now lost. Our grateful hearts acknowledge the many folks who helped and supported Babs and family through this ordeal. Visitation will be at Berryhill Funeral Home 5-8 p.m. Monday August 11th. On Tuesday, August 12th, a brief graveside service will be held at Maple Hill Cemetery at 9:30 a.m. An 11:00 a.m. memorial service at Farley Community Church will be officiated by Revs David Blakeney and Michael Hulsey. The family urges that in lieu of flowers, donations be made to the Christian Women’s Job Corps of Madison County. Please join me in a donation. See the Yellow Donation Button in the lower left. August 11, 2014 in Announcements. My condolences. I also lost someone to the big C just a few days ago. So sad, but what a wonderful life! My thoughts and prayers for family and friends. I really really hate cancer. My condolences to the families. Sounds like a wonderful life, she certainly left things a little better off when she left than they where when she arrived. It sounds like she touched the hearts and enriched the lifes of many, what greater gift is there than that. John, I am so sorry for your loss. I am truly sorry for your loss Dr. Christy. Your wife sounds like she was a wonderful woman. I will pray for you and your family. What a wonderful thought: “stepped into eternity.” May the family know that our hearts are with them. My sincerest sympathy goes out to you and your family John. The older we get, the more cancer touches us. I hate it. I hope you and your family can find the strength to deal with this. She obviously was one of those people who left earthly footprints behind filled with flowers. I can just imagine the benefit to heaven’s community now that she is there. Imagine the gains in cancer research had CAGW not sucked the life out of funding. You will embrace her again. I am in Huntsville to be with John during the memorial services. He is a great friend to all of us and I will convey the best wishes of anyone who asks–just leave a comment here. Dr. Christy: I am so sorry to hear of your loss. I lost my sweet Mary almost 14 years ago after 48 years of happy marriage, so I know what you are going through. The cardiologist told me at the time that “Life must go on.” And it must. Although I still grieve for my lost lover, it gets better with time. God bless. That is too young, only a year younger than me. Sad to hear of the loss, but then for her there is no more pain, or medicines. She has her freedom in the spirit. I am so sad for Dr. Christy, and for all of us who must face such stark realities, with no scientific proof there is anything more. There actually is a subjective and unscientific proof there is something more. It is within the simple fact we sense an unreality, when faced with such things. We mutter inarticulate blurtings, such as, “I can’t believe time passed so fast,” and, “I can’t believe it is over.” We do it because we sense time is a variable, and eternity is realer. Our hearts (and prayers) go out to you, Dr. Christy. We are all somewhat like a family here, it hurts us all when there is a loss, my deepest condolences go out to you all. The key is that the body’s natural endocannabinoids cause cancer cell apoptosis. If you are deficient you just grow some. We are rarely remembered by ‘what we died of’ and frequently remembered for how we lived. Let us therefore focus on an admirable life devoted to the welfare and upliftment of others. The human world is held aloft from its animal nature by the embodied virtues that define us as ‘human’. One manifestation of the human capacity for virtue is selflessness, a willingness to reach out even as others recoil. The fact that those doctors and other healthcare workers falling to Ebola are often working in a selfless capacity, inspired by the sacred, shows the noble heights which we can achieve. Dr Christy, you and your family are an inspiration on multiple levels. Thank you. Condolences for your loss; celebrations for her gain in Christ! My sincere condolences to the Christy family and their community of friends. It sounds like Mrs. Christy added grace to the world through her actions her entire life. As we say in our family, sometimes “God chooses to re-deploy his best souls to other places they are needed, on His schedule, not ours.” Godspeed, ‘Babs’. Thank you Anthony for letting us know. Sent a private email to John. Feeling for you at this time. My sincere condolences to Dr.Christy and his Family. Love the Lord your God with all your heart with all your soul and with all your strength and love your neighbour as yourself. She did both and was and will be richly blessed. Wow, what a great life! Well lived and a devotion to service, a great example of how to contribute to fellow human beings. If a great lady like this choose you for a husband Dr. Christy then you are even a more amazing man than I had estimated. May God give your family the strength to carry on his work. Seems like we lose the best ones too soon. My prayers for you, John. Our prayers for you, for her life, for your family in these times. Surely, the Christy family has been privileged and honored with the love of Alice “Babs” Christy (Joslin). Now, they may joyfully benefit by their lifelong remembrances of her. .
Condolences to Dr. Christy and family. My greatest sympathies. Her illness touches very close to home. May God hold her in his love forever. You and yours will be in my thoughts, Dr. Christy. She led a beautiful life, a testament not only to her own sterling character, but to those whom shared in her life, as well. I wish you peace and strength. I must stay true to what I know is true. She has moved on, and become far greater. That should be celebrated, not mourned. We humans are saddened when someone is no longer among us. We should cast off our possessiveness and jealousy and be joyous when one of us becomes far more than those left behind. Thus, Dr. Christy, I am not sorry for your loss. And I wish you the best during the long wait until you are rewarded and reunited. Stay strong. My wife passed away 6 years ago, so I understand. May your faith keep your family strong during these times. Prayers go out to the Christy family. What a terrible loss. My thoughts are with John and his family. My deepest condolences to Dr. Christy and his family. My sincere condolences to the Christy family. May the Lord be with you and lighten your heavy heart. A dear friend gave me the following thoughts when my dear wife was taken by cancer so early in her life. for as long as there is memory they’ll live on in the heart. My condolences to Dr. Christy and his Family. It won’t help right now to know that this is not the end. I truly understand the mixed emotions that Dr Christy and family will be feeling today, and for the forseeable future. The pain and hurt will ease with time, but the memories and feelings of love will go on forever. Ar dheis dé go raibh a hanam. What a beautiful tribute. What a great life. What a wonderful saviour. My condolences to you and your family, Dr. Christy. A life well lived, but still, very sad. I lost my wife to Cancer two years ago. My sincerest heartfelt condolences to Dr. Christy and family. Condolences to Dr. Christy and family. We know we all have to walk this path one day but that doesn’t take away the pain. My sincere condolences to Dr. Christy and his family. My condolences to John Christy and Family. My prayers are with you. My sincerest condolences to Dr. Christy and his family. I lost my mother, a sister, and several friends to cancer; and can only say that the grief is best relieved through a continuing engagement with one’s other friends and with one’s other family members. I am very sorry to hear of this. My deepest condolences to Dr. Christy, his family and friends. Losing one’s life partner, must always be rough, and no words, can replace the lost future together. My thoughts are with Dr. Christy and his family. Too many wonderful people are lost to those things that we can’t always avoid. May the Lord give you His peace. What a testimony of a life lived for Him. May she rest in peace. God bless you and your family. In her Photo, I see a beautiful Lady. I have no doubt, she was also a beautiful person. My deepest sympathy to you Dr. Christy and your family. May she rest in peace. Our deepest condolences to you and your family, Dr. Christy. What a wonderful lady. My deepest condolences to her family and friends. I am sorry to read of your loss. My prayers are with you. My condolences to Dr. Christy and family. May the good Lord comfort you. My sympathies to you John. I can’t imagine what you’re going through. Heaven is a better place today. My condolences to Dr Christy and your family – may God’s loving kindness comfort you and yours in this time of grief. So sad to hear this. We offer our prayers for God’s comfort with thanksgiving for the beautuiful life of John Christy’s wife.